I will receive in a few days a 1996 Birdhouse Heath Kirchart candy bar still in shrink with its candy bar. 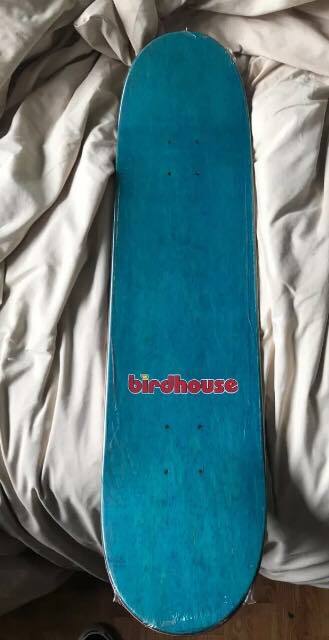 Is anyone interested to trade it with another Birdhouse Heath (one of the joker, especially the graveyard joker would be great) or a Birdhouse Reynolds in VERY good condition? In pics included you’ll find the deck I have to trade.